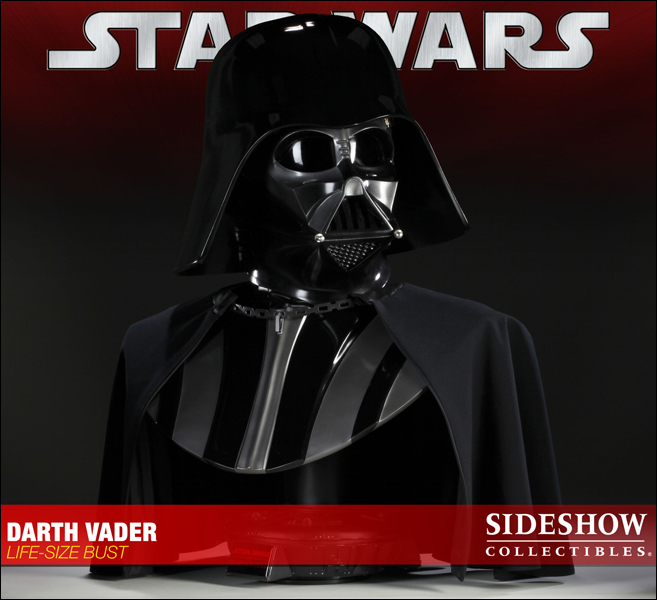 Sideshow is proud to announce the Darth Vader Life-Size Bust, created in partnership with the talented FX artists at Spectral Motion. 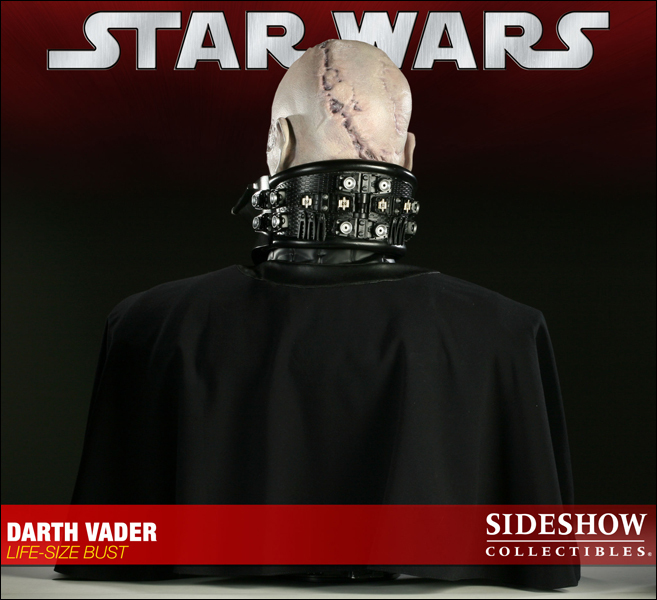 Capturing every detail of the Sith Lord and his helmet, this versatile bust has been constructed so that the helmet may be removed to reveal Anakin's scarred visage. 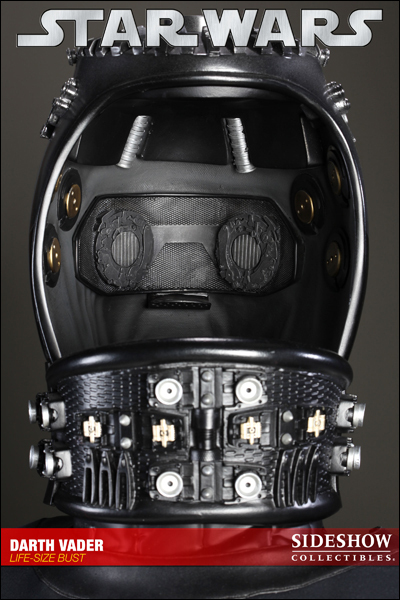 The interior of the face and neck portions of the mask are fully detailed to represent all of the wiring and technology necessary to sustain Anakin inside his suit. 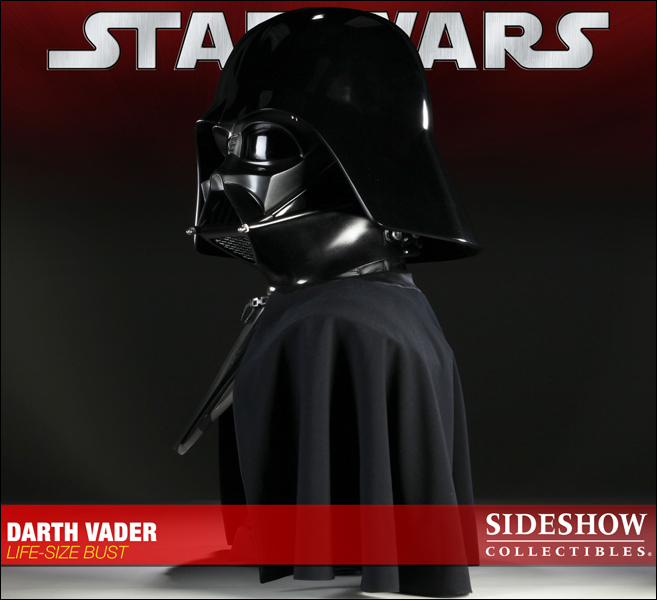 The bust is crafted in fiberglass, polystone, fabric and metal for the most authentic and realistic representation. 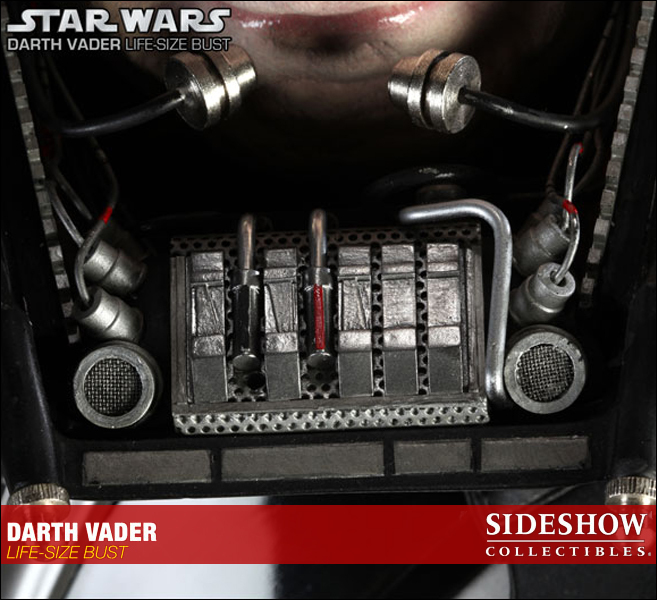 Each piece is individually painted and finished, each with its own unique quality and detail that is the trademark of a handcrafted Sideshow Collectibles product. 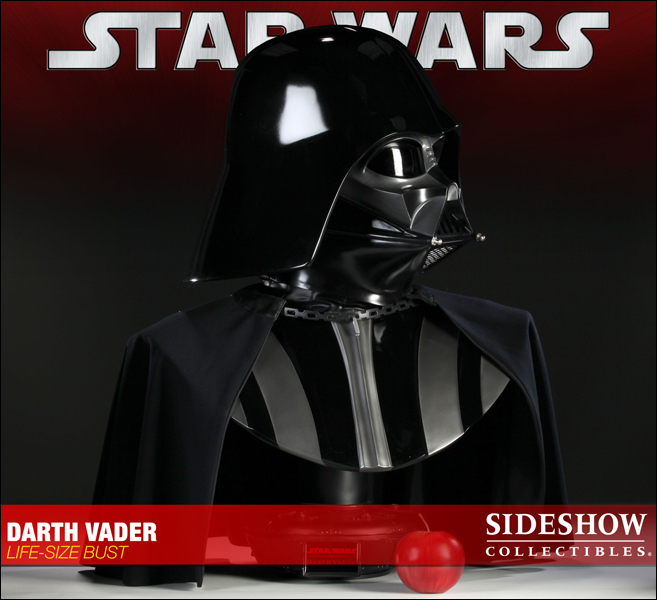 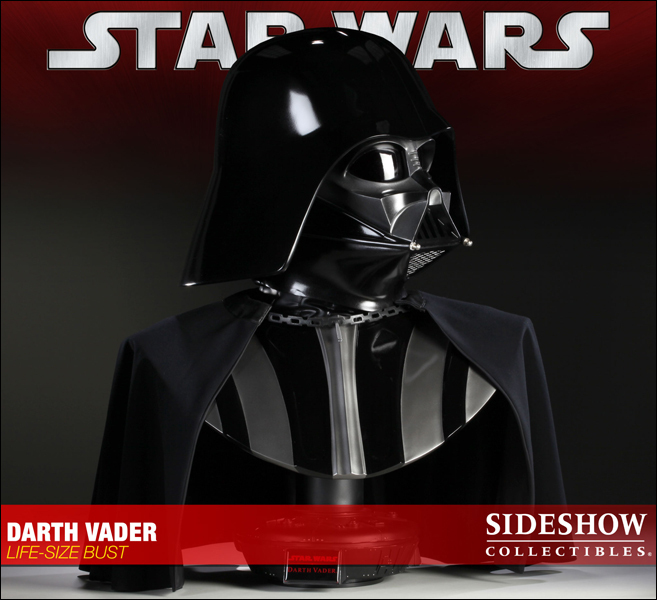 Standing over two feet high, the Darth Vader Life-Size Bust is a must-have for any STAR WARS collection. 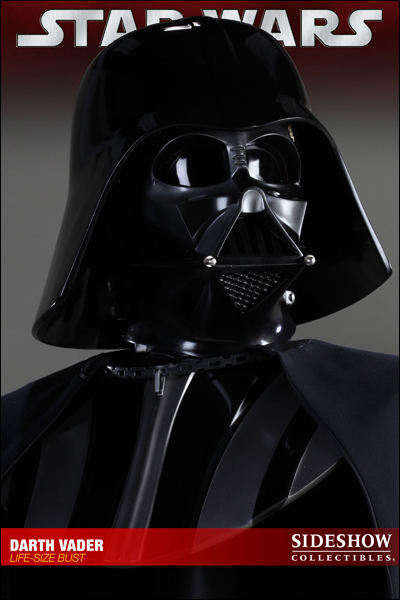 Tall and menacing, Darth Vader is the most potent icon of the Galactic Empire's might. 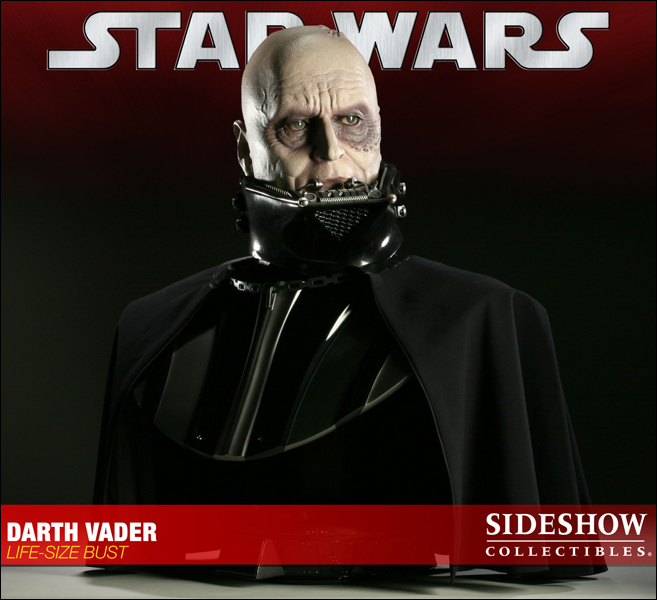 The product of the Emperor himself, Vader answers to only the highest in the Imperial command structure and is granted great leeway in the work he conducts on his master's behalf. 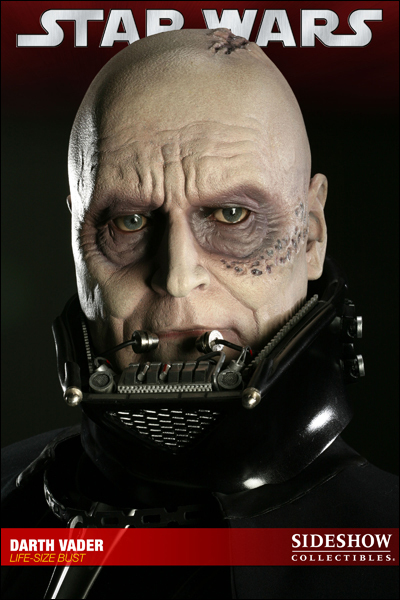 Once a Jedi, Vader possesses absolute command over the Force, and through him it is directed to terrible and often fatal effect. 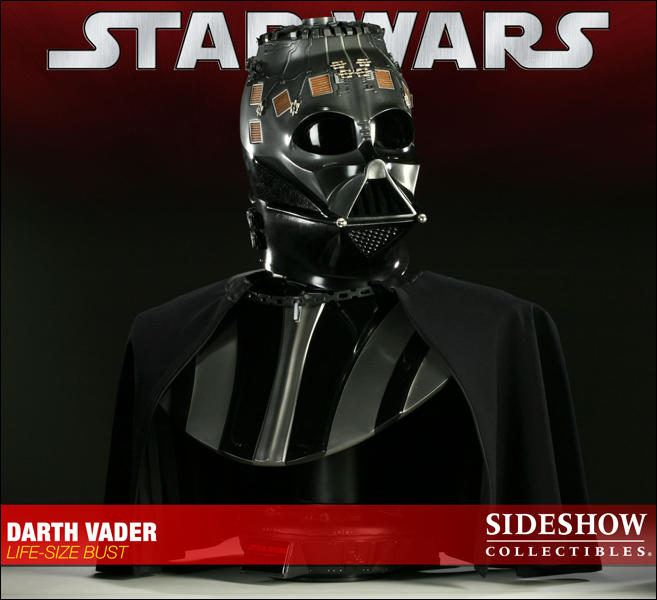 As a Lord of the Sith, the dark side flows through him, and it can be channeled to kill with a single thought or to subdue his detractors, enemies, and sometimes even subordinates. 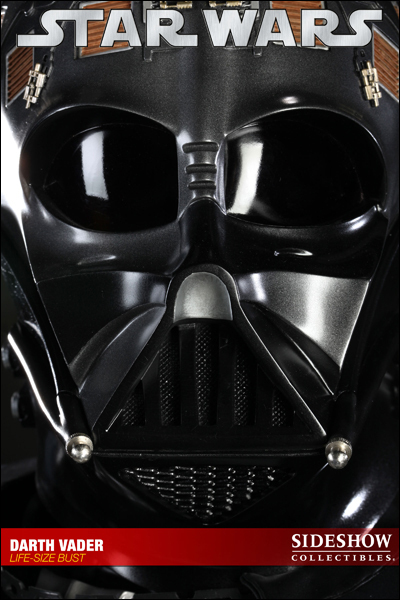 Feared by Rebels and Imperials alike, Darth Vader is a terrifying union of man and machine hidden beneath black robes and forbidding armor. 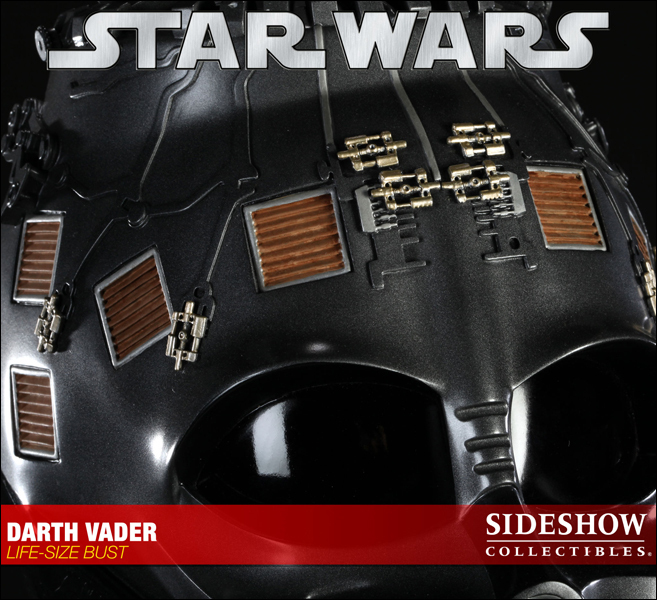 Determined to hunt down and extinguish the Rebel Alliance, Vader commands the massive Imperial fleet and rules his forces through unquestionable terror. 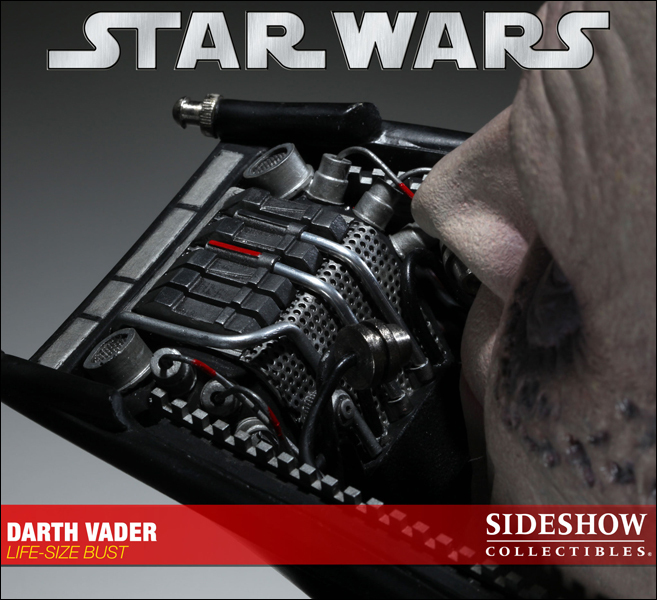 © 2010 Lucasfilm Ltd. & TM.